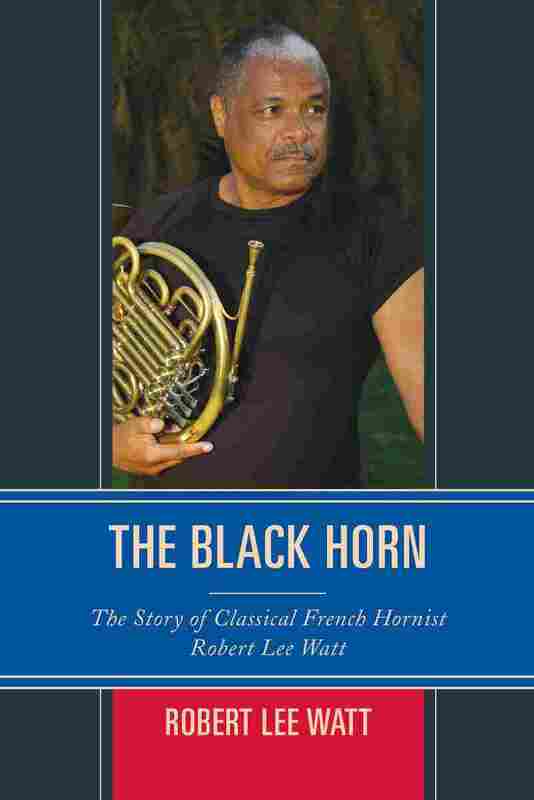 Interview: Robert Lee Watt, Author Of 'The Black Horn' Robert Lee Watt, the first black French horn player to join a major U.S. symphony, spent 37 years with the LA Philharmonic. He faced a lot of resistance along the way, as his new memoir recounts. Robert Lee Watt fell in love with the French horn at an early age. He met a lot of resistance from people who thought his background and his race made a career with the instrument unlikely — but he went on to become the first African-American French hornist hired by a major symphony in the United States. 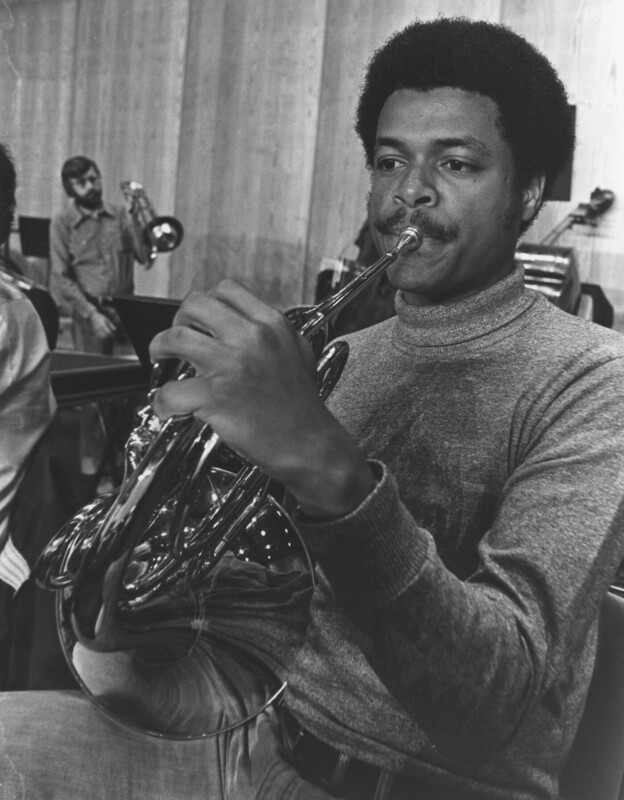 He became the assistant first French horn for the Los Angeles Philharmonic in 1970, and stayed with the orchestra for 37 years. His memoir, The Black Horn, tells how he got there. Watt grew up in New Jersey with a mother who played piano by ear and a father who played the trumpet. His dad was keen to have Watt follow in his footsteps and play popular music and jazz on the trumpet. But then Watt discovered a French horn in the basement of the local community center, and asked his father what it was. "He says, 'French horn — that's a middle instrument, it never gets the melody. And besides, it's for thin-lipped white boys. Your lips are too thick,' " Watt remembers. Despite his father's dismissal of the French horn, Watt was drawn to the instrument. "It gives me chills," Watt says. "It just really touched me." Today, symphony auditions are "blind," featuring screens between musicians and the committee judging them. That wasn't the case back when Watt started his career, and he wasn't sure that, given his race, he'd even have a chance in auditions. He tells NPR's Karen Grigsby Bates how one teacher encouraged him to audition anyway, and how he overcame skepticism within and outside the world of classical music. I think it was toward the end of the third year, my teacher came to me and said "I think it's time for you to start looking for a job." And I said, "Doing what?" And he says, "Playing your horn, dummy." And so my teacher — who just passed away a few months ago, by the way, at age 100 — was very paternal for me. Robert Lee Watt was a member of the Los Angeles Philharmonic for more than three decades. I had a nickname ... Boston Blackie. No one had ever called me that personally but many people came to tell me that that's how I was referred to. And then there was a Chinese guy, very young, came up to me and he said, "Welcome. Bob, now that you're here, try and get as many black people where you are." He says, "That's how things change." And he became my first friend in the orchestra. One of the things that I think ... we're not honest enough about is, we tell young people that, "You can do anything you want, just put your mind to it." But that lofty paradigm defaults to: "You can do anything if we're comfortable with it." In my hometown people would say things like, "You wanna play French horn, I see. Have you seen anyone else doing it?" I said, "No." ... That was the mentality in my hometown. If it's different, right away, you're going to get resistance. Or, in the case of my father, it was fear. Because my father, I found out just before I went to conservatory, that he actually auditioned for Juilliard. He bolted out of the audition because he ... could play bands, he could read Sousa marches and he could play in the jazz band, but ... he wasn't classically trained trumpet. So it created a fear and a stigma, so when I come along a generation later saying, "I want to play French horn," he thought, "You think they're gonna take you? You'll see."